Altruism is defined as the practice of disinterested concern for the well-being of others – and isn’t it what yoga is all about? A way of living dedicated to achieve mindfulness in order to be a peaceful being, capable of serving this world. Through selfless giving, we are letting the light within us honor the light within others, therefore, altruism is the perfect example of living the true meaning of Namaste. We’re privileged to have had an inspiring talk with Daphne Charles, a yoga teacher who lives her practice with this philosophy always in mind. 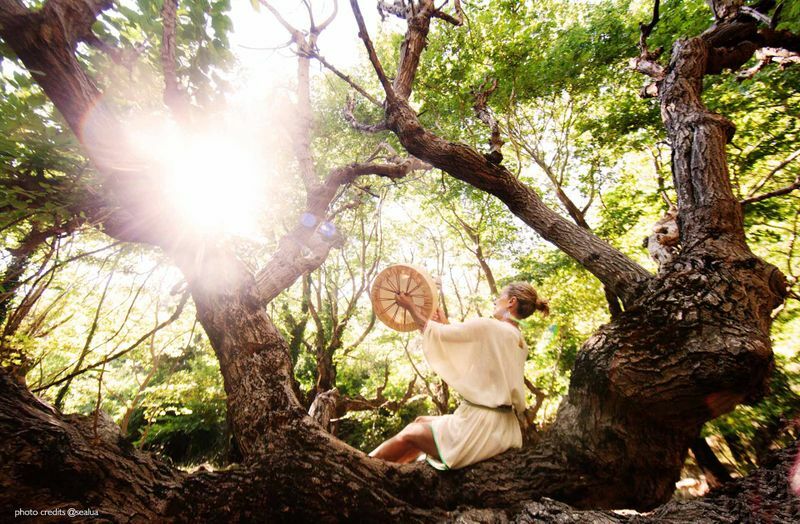 She owns Routes of Yoga, where she leads retreats, immersions and teacher trainings worldwide; and this year, she is giving a scholarship for a teacher training program in Bali, to those generous souls who have a strong passion about social work. Read on to find out more about Daphne’s commitment to society and her scholarship program. It may just be your opportunity to give back to the world through your yoga practice! Could you talk a little bit more about your scholarship program? ROY’s Yoga Teacher Training Scholarship applications are now open and close on April 8th. This year’s grants are focused on finding the bright sparks out there in our communities that are involved with or have a strong interest in humanitarian work, the ones that have a strong calling for service. As part of the post-training requirements, the candidate has to teach 24 free yoga classes at a partner institute that otherwise wouldn’t have access to yoga classes, such as a juvenile center, seniors home, jail, orphanage, special needs organization etc. 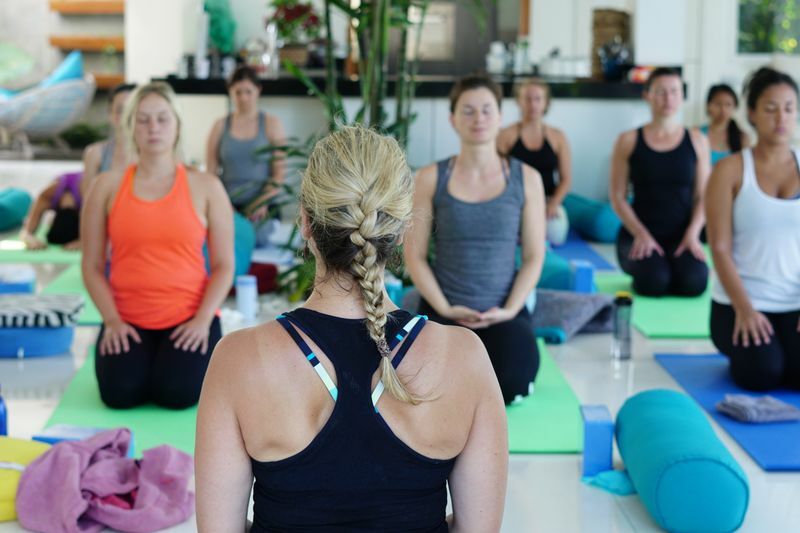 This is a win-win situation, because besides the obvious benefit of getting a grant, it also allows the candidate to start teaching yoga soon after the completion of their yoga teacher training program, which is often not the case. How important do you think giving back to society is? 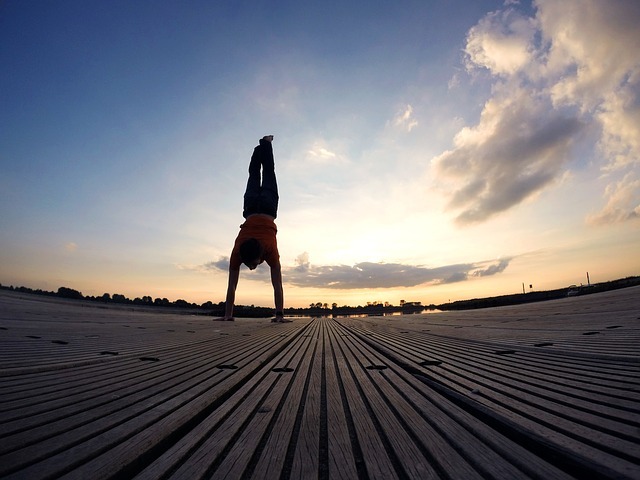 How does it influence your yoga practice? It is, and is not. What is of higher regard is to take action from the heart, to act from a genuine place. This might or might not result in giving back to society in a conventional sense and can manifest in many other forms like being a good parent, or loving your partner. There are many people that give for the wrong reasons as well! At the same time, softness and compassion are attributes that develop with a practice and giving is a natural occurrence from that. Personally, it is important for me and is my driving motivation and fire behind practice. The more you practice, the more ability and life force energy you have to give out. The more you give, the more you have to practice so that the ego does not hold onto useless identifications, praise or reward. 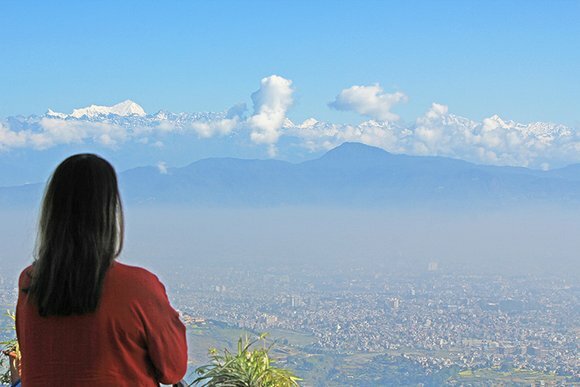 In 2015 ROY dedicated 100% of profits from your Nepal Retreat back to the country - Why? Why not? In 2015, Nepal was still recovering from its earthquake when oil and gas was cut off from India. Everything stopped. Vehicles stopped running and without gas, restaurants had very little to serve to an already ghostly amount of tourists. The daily vehicle expenses for our retreat tripled overnight, this was very unfortunate since all profits were being donated. I can’t actually recall my first yoga class. But what drew me in then and still does to this day, is the presence that a great yoga session brings - you are here, now. You are at ease with your place in the world; your feet stand firm on the ground. When your mind is not held up in the past or future, you are available for whatever or whoever steps in front of you at this moment. 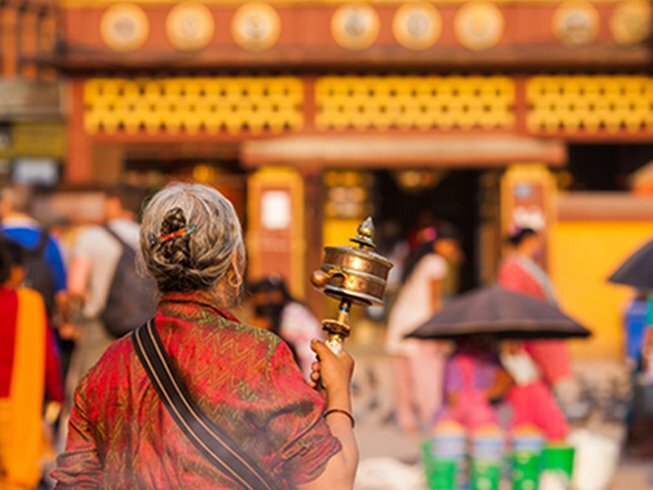 What made you decide to organize a pilgrimage retreat to Nepal? How is Nepal significant to you and your yoga journey? Nepal has a long and living tradition of Spiritual practice and is a place very close to my heart. Everything is put into its place - mindfulness and compassion are adhered to over physical yoga poses and among the long lineage of practitioners that dedicate a lifetime to serious practices, the modern ego is humbled. Also, when you take the time to learn about deep roots of any kind – lineage, your own ancestry, a craft, it makes it easier to gain a genuine respect; and this is for our own benefit and ability to receive teachings, not for them, the wise don’t need that. Deciding on programs with ROY is easy. We share what we know, value and believe with others. Lastly, moving forward, what is coming up with Routes of Yoga and what are your hopes and dreams for it? 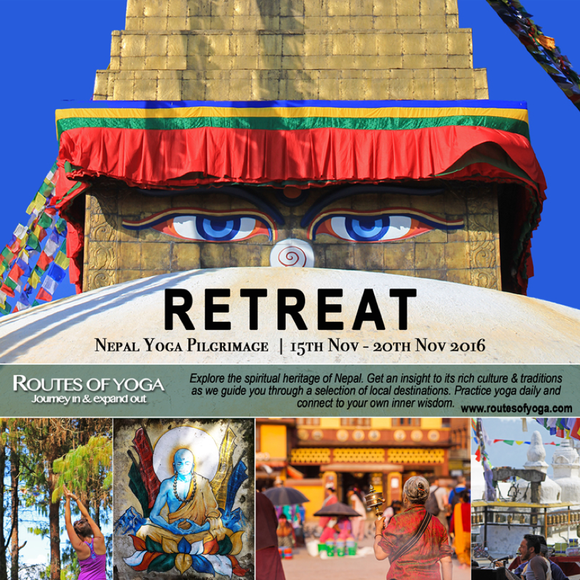 Apart from our scholarship program and our Teacher Trainings in Bali, of course we will be headed back for our yearly Yoga Pilgrimage Retreat in Nepal this November. As for Routes of Yoga, to share is such a privilege and a responsibility. My hope is that it continues to grow as we grow and sway as we sway – the dream is happening now. Thanks for reading this post. Looking for more teacher trainings to give back to spread the yoga love and give back to the community? Click here for the largest offering of yoga-focused travel and training courses available on the web! Daphne has been interested in the concept of space from an early age and initially explored this as an architect with concrete man-made structures. 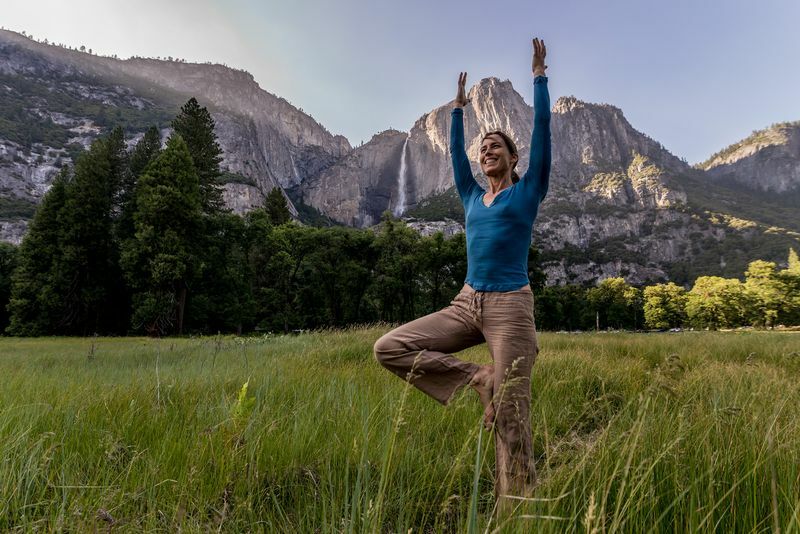 She has since then evolved into exploring this on a more subtle level through yoga and within the natural structures of the human body and mind. Her practice and teachings are built upon this union between the inner and outer realms - two seemingly opposing fields within the maya of our eyes.